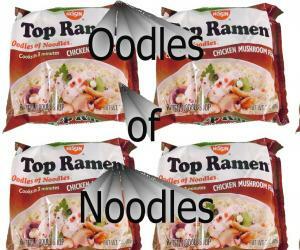 Remember Oodles of Noodles Ramen -- a college student's best friend? Yum. The internet is swamped with millions of funny things. Funny Pics - a daily new funny image selected by editor is bound to bring glorious giggles.